Beginning his career at Bolton Wanderers the midfield schemer played in over 400 games after turning pro in 1982. His time at Burnden saw him gain a promotion, suffer a relegation, win twice and lose once and Wembley and play alongside future Clarets as Warren Joyce and Ray Deakin. 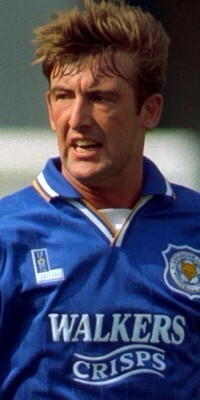 At the start of the 91-92 season Thompson made a £180k move to Luton Town but made only 5 appearances before moving again, this time to Leicester City, in a player exchange deal. He lasted a little longer at Filbert Street - just under 3 and a half years. The Foxes faithful thought much of him from the very start of his Leicester career as he debuted with a goal and cemented his place in the side as they marched to Wembley before being felled at the last by moneybags Blackburn Rovers. The following season he was again in the playoff final, again ending on the losing side. His third and final full campaign with Leicester finally gave him the play-off victory his service deserved as he helped secure top flight football for the Foxes. His Premier league football chances were limited and after around 130 appearances and 2 player of the year awards he was sold. The buying club were Burnley, struggling in the second tier under the stewardship of Jimmy Mullen. We already looked favourites for instant return to the second division but Thompson was happy to join up for a £200k fee, joining up in the same week as Kurt Nogan. However, a succession of injuries blighted his early Burnley career, seeing him miss most of the remainder of the Division One season and much of the next. He returned around the time Mullen left and Adrian Heath took over. Heath made him club captain and his steadying influence in the middle of the park helped us to stave off the possibility of a second successive relegation. Thompson remained with us for the duration of Heaths tenure, despite falling out of favour in his final season, before completing a free transfer to Rotherham United. During his time with the Millers he rediscovered his fitness and, to a certain extent, his goalscoring touch during his 100+ games. However, with his advancing age and decreasing speed in the middle of the park he dropped out of league football in the summer of 2000. A season with Halifax Town getting regular football, followed by another season with Leigh, where his appearances were more intermittent due to more injury problems, were his final taste of playing. Upon retirement he completed his coaching badges and took up a position as youth coach under his former team mate Simon Grayson at Blackpool. From there he progressed to 1st team coach and reserve team manager, and became 1st team coach when Ian Holloway became manager in the summer of 2009 which led to promotion to the Premier League a year later. Thompson was caretaker manager following the departure of Holloway and then after next manager Michael Appleton left abruptly, but he was sacked alongside next manager Paul Ince in January 2014. He joined Huddersfield as assistant manager in June 2014 but was put in temporary charge less than 24 hours after the first game of the season, a home fixture against Bournemouth which ended in a 4-0 defeat. He left Huddersfield in December 2014 to take up the assistant manager's role at Leeds, but in April, less than four months later, was suspended and told his contract would not be renewed, all this without the knowledge of manager Neil Redfearn. Having been out of work for four months, Thompson rejoined Simon Grayson, with whom he had worked at Blackpool, at Preston.